Some more images from the Galaxies greatest Fanzine! 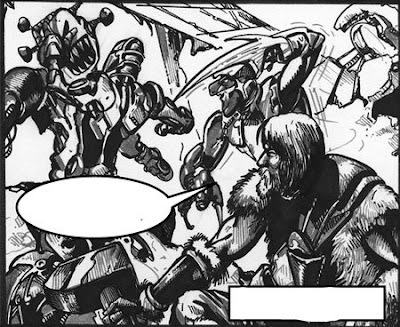 A panel from IN THE ZONE by Sprout and Bolt-01. A selection of images from the current Dogbreath. From Lead strip DESERT TAIL By Eric Moore and Steven Denton. The unlikely return of Mr Sun & Mr Moon by The Emperor and James Feist. Don’t like buying from Webshops? Worried about credit card fraud? Then Visit Forbidden Planet for your Small Press stars! Can I state for the record that not for one minute did I ever think that a comic I drew for would be available in a ‘proper’ comic shop. Well done to all involved with the titles, and here’s hoping that they come back and ask for more! Wait Mr Postman! Have you got my ZARJAZ or DOGBREATH? Well, as I imagine the title says, the contributor copies are all in the post as of today. Hopefully many of you will be getting your copies on Monday/Tuesday. My continued thanks to all those who help to get the comics together. And so were back, from Bristol! A complete blast and many thanks to everyone who came by and said hi. Zarjaz sold well enough that I’ve had to go back to the Printers for more, and Dogbreath was also up on its usual sales numbers for the weekend. We managed to get some new stories organised, and hopefully made the connections to let us get some spectacular work in for next issue. A shot of the table as it was on the sunday morning, before the hordes of cos-players arrived. Former Zarjaz editor Colin has given me a box of old stock to sell, including th recent 30th anniversary Dredd psecial, and I am arranging for the entire run of these to be available in a discounted pack, from the FQP shop. Individual issues are also available if anyone want to mail me. 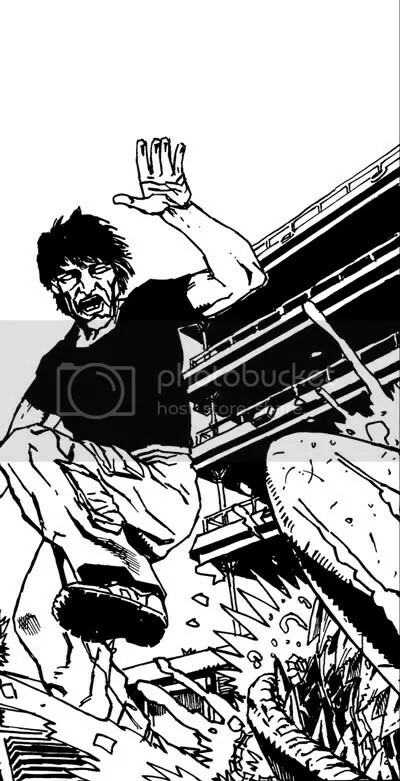 A panel from Interval by Eric Moore and Gibson Quarter. 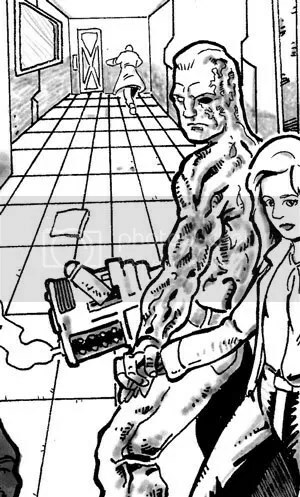 A panel from Berserker episode 3 by Richmond Clements and Stephen Hills. 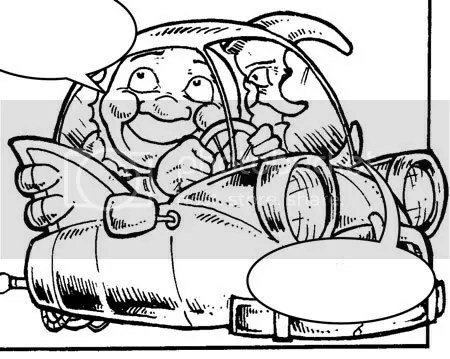 And a panel from Shadow of the mutant part 1 by Alec Robertson and Bruce McLaren.